Orlando Forklift Certification, Get Training Today! Orlando Forklift Certification – Start Training Today! Get Your Orlando Forklift Certification Today! Orlando is a central Floridian city and home to the famous Walt Disney World, with multiple theme parks including Magic Kingdom, Epcot, Animal Kingdom, and a water park. There is also Universal Orlando, which is comprised of Universal Studios and Islands of Adventure. If you’re interested in the magic and fun of these parks, you may be interested in trying to find employment there. Walt Disney World employs thousands of workers, from backstage technicians to costumed characters. But the most vital and often unseen components that keep Disney and all its parks running safely and efficiently are large equipment operators. If you’re ready to start a new position in Orlando and up-level your earning potential, add “forklift operator” to your resume by letting your employer know that you would like to receive your Orlando forklift certification. Why Complete Orlando Forklift Certification? Employees with a forklift certification in Orlando are much more likely to be hired than untrained workers. OSHA cracks down on workplaces that have uncertified operators because this negligence to proper education is what leads to injuries and fatalities. Employers are not going to take the chance at being hit with costly fines from OSHA by hiring workers without Orlando forklift training. And, you can protect your own life and the lives of your fellow employees by completing training. Forklift certification not only opens the door to more job opportunities but to higher paying ones as well. If you’re interested in boosting your career, here are some of Orlando’s top companies and organizations you can apply to with a certification in hand: Orlando International Airport, ABC Fine Wine & Spirits, Adventist Health System, AirTran, Atlantic.net, Bright House Networks, and Central Florida Expressway Authority. 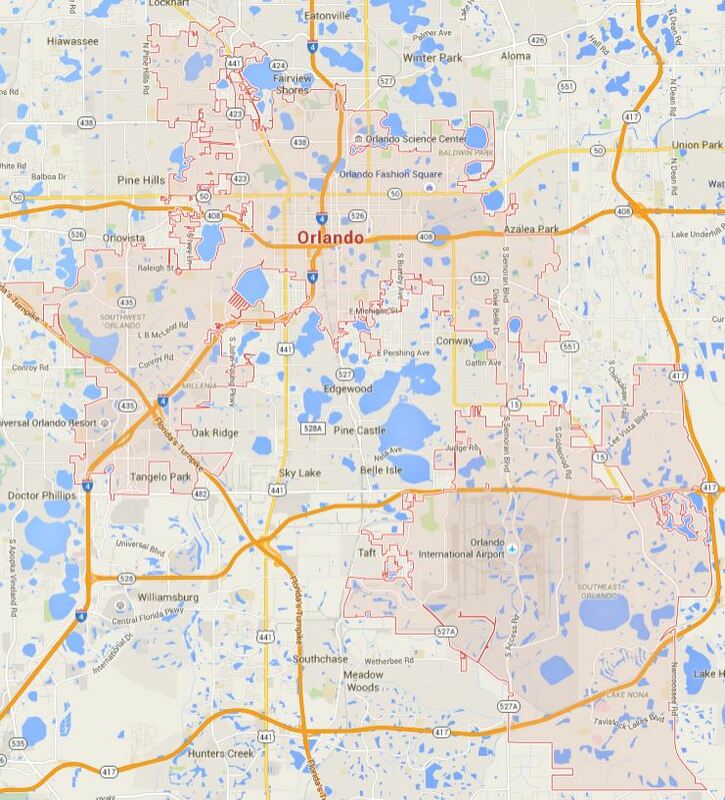 Besides the opportunities at Walt Disney World, Orlando is a thriving city and offers employees plenty of options. The top industries in Orlando include manufacturing, technology, motion picture and television production, and aviation and aerospace. All of these industries require the expertise of trained operators who have an Orlando forklift certification. Since forklift training benefits both you and employers, don’t delay on getting your forklift certification in Orlando. Bring it up to your employer, or let a prospective employer know you want to get trained and certified to be the best operator you can be. If you’re an employer in any of the industries that hires forklift operators, the only way you can truly ensure the safety of your workplace and protect employees and nearby pedestrians is to get all of your operators trained, with an Orlando forklift certification. You will be protected from OSHA fines as well, in addition to potential legalities if any accidents occur involving untrained workers. What Are the Requirements for Orlando Forklift Certification? According to OSHA, employers must ensure all operators are qualified and competent to operate forklifts through the successful completion of training and evaluation of skills. This means that it is the employer’s responsibility to get the training for employees. If you want to certify to operate forklifts in your workplace, bring the information we share in this article to your employer and let them know that you would like to receive the training and in-person practical evaluation. You will then be equipped with the tools and knowledge you need to protect your life on the job, prevent accidents, and be a valuable asset to your employer for the length of your career. With all of the information required for operators, employers may feel overwhelmed and more likely to put off training if they have to create one themselves. You can let them know that with CertifyMe.net, all the hard work is already done to ensure operators are fully prepared and OSHA-compliant! All your employer will need to do is supply a qualified trainer to lead the evaluation. That’s it! 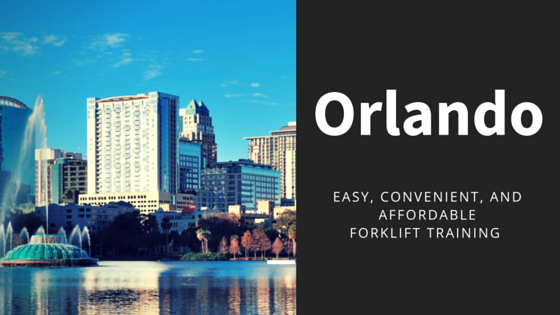 Take Advantage of Easy, Convenient, and Affordable Forklift Training in Orlando! Wondering how to get forklift certification? CertifyMe.net has created a forklift training program with the worker in mind. It is online and takes only about one hour to complete. It is compliant with OSHA regulations and standards, and can be accessed wherever you have internet—whether on a smartphone, tablet, laptop, or desktop computer at home. You won’t have to travel to an off-site training facility, and you won’t have to pay hundreds of dollars. All it takes is a few minutes for employers to create an account on our website and register their company. Once registered, employees will have instant access to all of the training modules. Give your career a boost and help your employer be even more successful with forklift certification in Orlando!